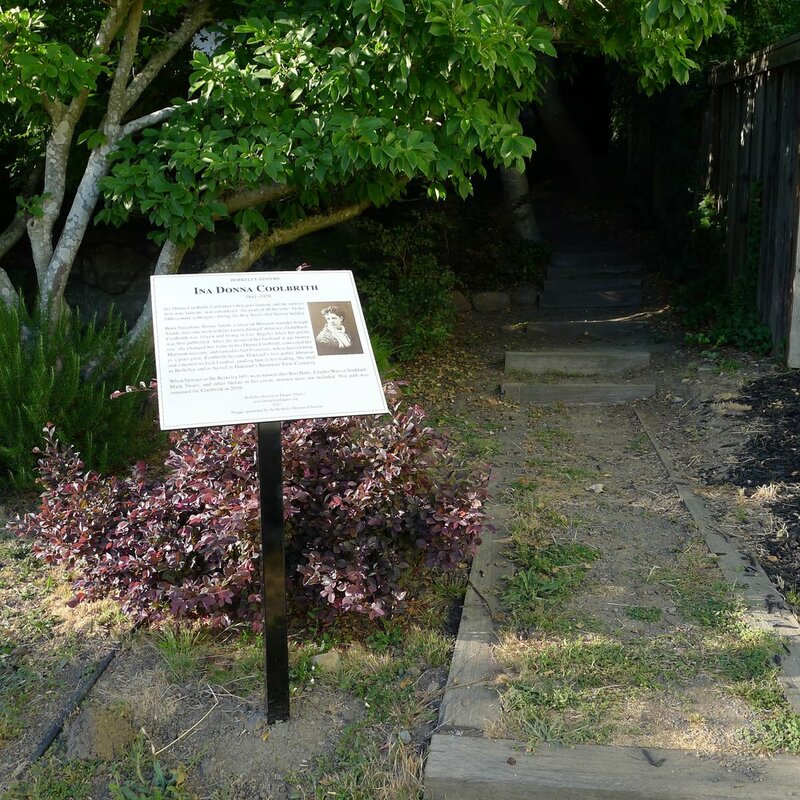 Aleta George, author of Ina Coolbrith: The Bittersweet Song of California’s First Poet Laureate, unveiled the plaque, which Berkeley Historical Society also sponsored. While writing her book, George frequently walked the paths of Berkeley. She noticed a cluster of stairways and streets named for noted contemporaries of Coobrith: Harte, Mark Twain, George Sterling, Charles Warren Stoddard, and Joaquin Miller.